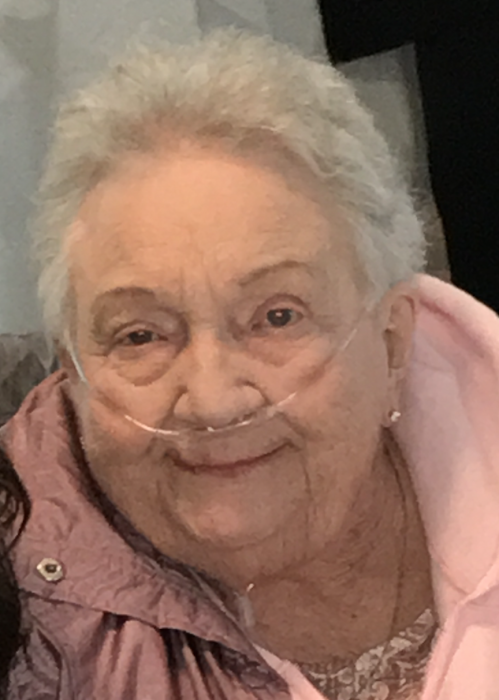 Delores Elga Schultz, age 87, of Addison, passed away January 26, 2019. Delores was born August 24, 1931 in Samaria, Michigan the daughter of Walter and Margaret (Hutchinson) Scott. On June 24, 1950 she married Merlin Schultz in Dundee, MI and he preceded her in death April 8, 2013. In 1949 she was the Monroe County cherry pie baking champion. For many years she was the seamstress for Green's Clothing Store, Tecumseh and made many bridal gowns for family members. Delores loved her family and doing crafts. She was a member of the Springville United Methodist Church. Delores, is survived by her daughters, Diana (Larry) Erbskorn, Karen (Lesley) Leggett and Sandra (Gerald) Beaubien; grandchildren, Bradley Gatt, Jason (Renee) Gatt, Timothy (Christina) Beaubien, James (Brittany) Beaubien, Erin Erbskorn, great grandchildren. Destynee (Keith) Leyland, Kayla Gatt. Chase Gatt, Cole Gatt and Sophia Beaubien; great great grandson, Trent Leyland; sister, Eudora Judit; brother, Durrell Scott and several nieces and nephews who she dearly loved. She was was preceded in death by her husband, Merlin; parents and brothers, Dale and Dallas Scott. Funeral services will be 12:00 P. M. (noon) Thursday, January 31, 2019 at J. Gilbert Purse Funeral Home, Tecumseh. Visitation will be 5:00 - 7:00 p.m. Wednesday, January 30, 2019 at the J. Gilbert Purse Funeral Home and one hour prior to the service on Thursday. Final resting place will be in Ridgeway Cemetery at a later date. Condolences to the family may be made online at www.pursefuneralhome.com.